US$625 per person - Sign up today! Join Authorized Rhino Trainer, Akiyo Matsuoka, for her upcoming online Rhino course. Attendees will use GoToMeeting to connect and share screens during the live, training sessions for this very interactive class. The class is open to all industry professionals to build a solid foundation with Rhino 5. 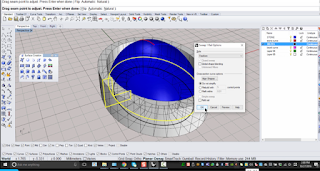 You'll learn to create and edit accurate free-form 3-D NURBS models. 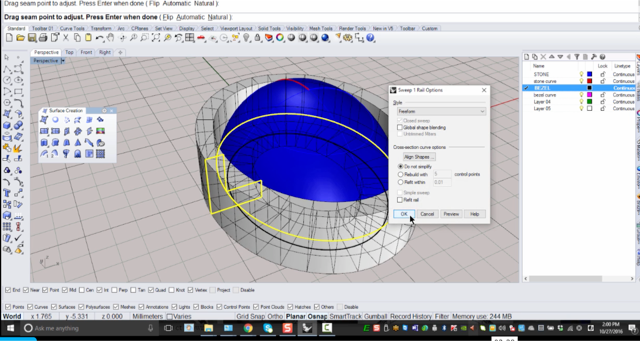 The class covers most of Rhino's functionality, including the most advanced surfacing commands. Attendees will use jewelry as the modeling geometry, however, professionals in other fields can benefit from the class. Questions? Contact: Email Akiyo Matsuoka or call (646) 241-0045. About the instructor...Akiyo Matsuoka, is an Authorized Rhino Trainer, as well as a Rhino Instructor at Fashion Institute of Technology in the Jewelry Design Department.